What’s black and white and wiggly all over?! That’s me! 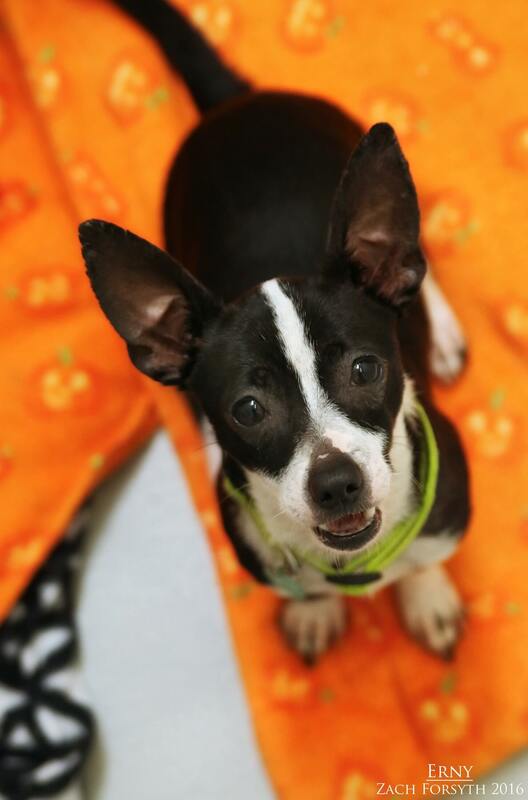 My name is Erny and I am a cute itty bitty 3 year old Chihuahua mix. I am just sweet Southern boy who absolutely loves to explore and sniff out the world. And my body is always wiggling from the excitement of discovering something new! I am a tiny doggy scientist searching and coming up the new theories everyday. I am eager to meet anyone and would enjoy a home with with kids, cats, and/or other dogs! Want to know what my next theory is? That you will absolutely fall in love with me! Let’s experiment together! Fill out an application today, so we can set up a meet. I come to you neutered, vaccinated, and micro-chipped with an adoption fee of $250.